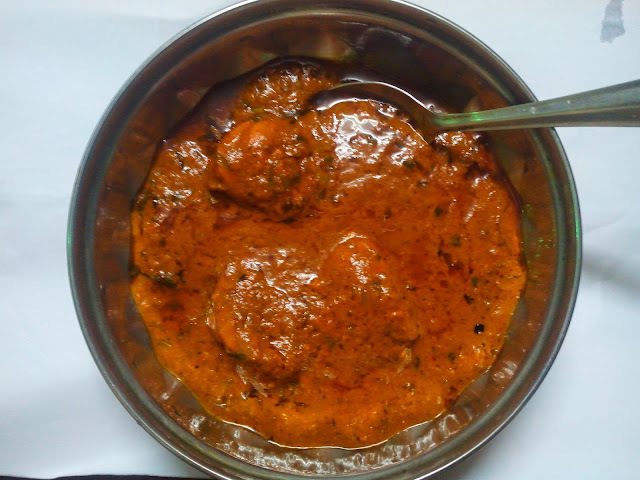 If you are looking for a thick chicken gravy types that you get in restaurants, then you should give this Chicken Masala Fry a try. I’m sure you will not be disappointed. Marinade & cook the chicken. After 2 minutes remove the cloves, turn up the heat to high and throw in the fresh curry leaves, fry for 20 seconds. Add the ginger and garlic puree and fry for a further 2 minutes. Turn the heat to the lowest, create a well in the onions and add the dry spices and tomato puree.